Compliance Science provides web-based regulatory compliance technology and services to the financial services community. 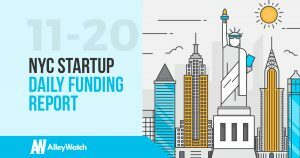 Here are the latest venture capital, seed, and angel deals for NYC startups for 11/20/17 with info on ONE round you will not see anywhere else. This page will be updated throughout the day to reflect any new fundings.